Purvi translates to “from the east” and is also the name of a popular Hindustani raga in Indian classical music. Purvi is sung during dusk – just when the sun goes down and the breeze from the east brings the temperature down a notch – the time when Purvi shawl can keep your shoulders warm and add to the beauty of the evening. 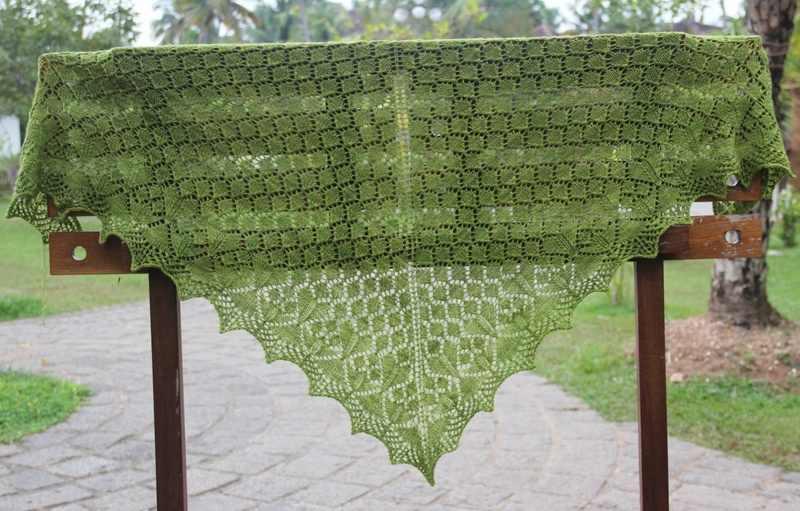 Purvi is knit from the top down, starting with a garter stitch tab. 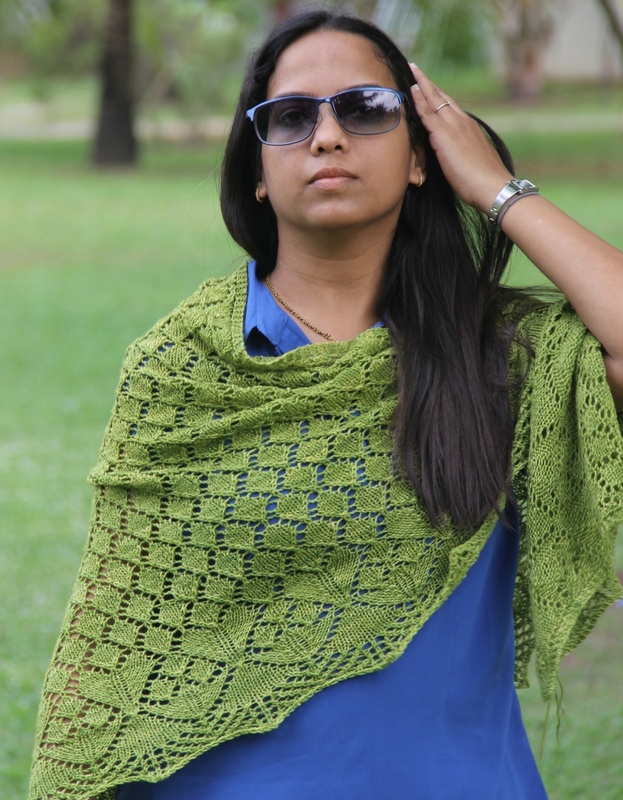 The body of the shawl features a pretty leaf lace pattern which seamlessly evolves into a bigger leaf pattern. Charts and written instructions are provided for the lace stitch patterns. Adventurous knitters can optionally place beads on the pointy edges. The sample is knit using Malabrigo Sock in Lettuce colorway. The shawl can be made using lace yarn, but the gauge and finished size will vary. Purvi is available at a promotional price of $3 until May 10, after which it will be listed at its full price of $5. Previous postAnd the set is complete! Very pretty, the shawl and you! !